I published how to upload attachments to work items some time ago. The missing piece was how to download them. I was able to figure that out now and want to share it. The example below is based on the wiki entry on Programmatic Work Item Creation. I basically use the main() and run() operation for the parameter handling. The code below is inserted at the end of the run() operation. The WorkItemOperation part is not used in this case. 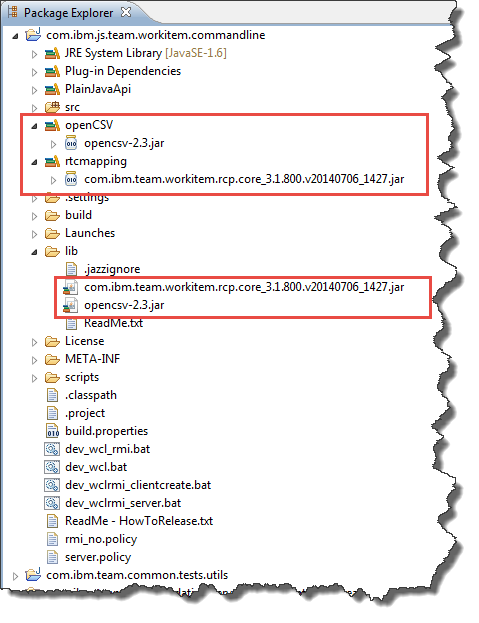 The code below shows how to get to the attachments resolving the work item references and using the endpoint to narrow down to the attachments. See the post about manipulation references using the Plain Java Client Library for more details on references. Once the IAttachment is resolved it is passed to the saveAttachment() method which does the download and saving part. The saveAttachment() method basically creates a new file with the name stored in the attachment and uses the ITeamRepository.contentManager() to get the content into the file. The code below uses the file name stored in the attachment for simplicity, but you can provide a different name and location. As usual the exception handling is very basic and you might want to improve that if using this code. I hope this is helpful and saves some cycles searching through the RTC SDK. In most of the cases these solutions, unfortunately, lack the capability to bring over the attachments. So the question is how to upload an attachment to a work item. Freddy asked for the code to upload attachments. So, here goes. * Update * Read this post to find code how to download attachments from work items. * Update * You might want to uncouple uploading the attachment from the update operation of the work item. Otherwise you could get racing conditions with users changing the work item. See this forum post as a solution provided by Van Lepthien for how this looks like. *Update* See this answer for a modified version to upload the attachments. The example code can be downloaded from DropBox. Please note, there might be restrictions to access DropBox and the code in your company or download location. The example below is based on the wiki entry on Programmatic Work Item Creation and it can be used for two scenarios. 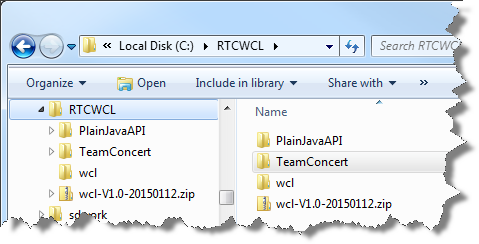 I would suggest to play with the Plain Java Client Libraries option first and read this and the additional blog posts mentioned in this article. 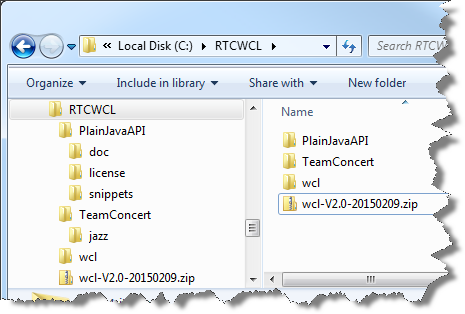 The Jazz.net article on Automated Build Output Management Using the Plain Java Client Libraries describes how to set up an Eclipse project for development using the Plain Java Client Libraries. One question that frequently comes up, is: can I do this with OSLC too? The answer is, you can, the tools do it. But it seems to be not really easy so far and I have no code for it. Here is an interesting Forum answer with code you could try. Download the example source from the wiki entry on Programmatic Work Item Creation to get used to it, especially look at the example for the Plain Java Client Libraries. We are going to use the basic structure of the class, especially the main() method below. Export the data into some file structure, for example a CSV file or a Bugzilla export and some folders with the attachments, one folder for each work item, potentially with the work item number as name. Consolidate the exported data, for example adding a row with the old item number, that gets imported into a read only, maybe even hidden attribute in the new work item to indicate the source and make the attachment import easier. 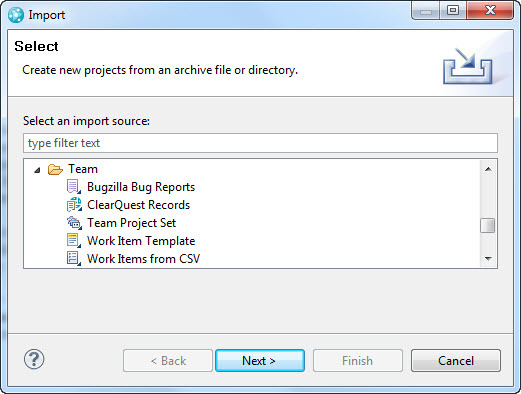 Import the textual work item data, using Bugzilla or CSV import. Export the work item data into a CSV file and cut that down to the columns (new) work item ID and original Item ID. Run a second pass and use this file as an input to feed the attachment upload run with information. Run post processing to ‘massage’ the work item, e.g. create a URI reference to the source item, change attribute values etc. So the code below is modified in a way that it assumes the work item is already created and all that needs to be done is to upload an attachment. It looks up the work item using the ID and uses the operation to update the work item. I leave the fun part – reading the CSV file and finding the attachment folder – to the reader, to keep the complexity low. The code basically uses an inner class extending WorkItemOperation to do the modification. The beauty of this is, that this operation does all the complex handling to get a WorkItemWorkingCopy and saving for us and we just need to upload the attachment. Lets look at the constructor and the execute method. 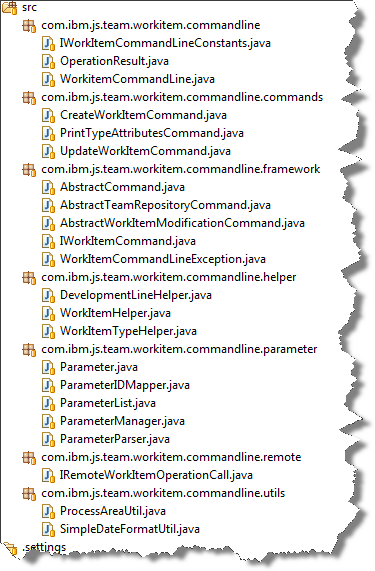 The constructor calls the constructor of the super class, passing the work item load profile IWorkItem.FULL_PROFILE. Then it puts the data such as file name, content type and encoding into fields. 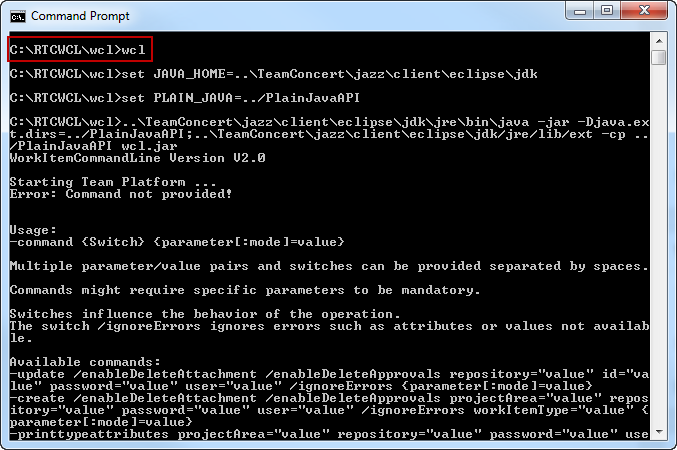 The execute method basically calls a helper method to attach the file. Exceptions thrown are just caught. This should be enhanced of course. The code opens a FileInputStream to the file. 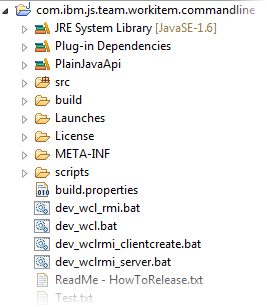 Then it retrieves a IWorkItemClient client library that is used to do all the manipulations. Attaching the file is done by creating a new attachment, getting a working copy of it and then saving the new attachment. The file is uploaded in this process. Last but not least the code creates a reference to the new attachment and stores it in the work item. Calling the operation is simple. Find the work item that the attachment belongs to by its ID. Create a new operation and run it with the workitem that we have found. There are more content types and for example PDF would probably not work as text. Play around with the available content types and see what happens. Here an example I used for PDF. It is easy enough to enhance the code for other purposes. Please remember that there is few error handling at this point. You might want to enhance this.